Discovery Channel’s How Will The World End? It’s the End of the World, as we know it… but how will it really end? The Mayans were way off. This psuedo-documentary presents five possible cataclysmic scenarios that might actually happen… at some point. 1 – An Ark Storm in California, is the most likely weather catastrophe to happen, on the scale of Noah’s flood. “It would be like having two or three (Hurricane) Katrinas at once.” On a small-scale, the 1861 Sacramento flood was similiar, creating 10 feet of continuous standing water. But the Ark Storm would create 100-mph winds, storms lasting more than a month, levees, dams, sewage-treatment plants and power lines would all collapse and 1/4 of all CA buildings will be flooded, with up to 20 feet of flood water. This scenario has a 10 percent chance of happening within the next 50 yrs. 2 – An Asteroid Impact, will cause Armageddon. It’s happened before; many astronomers predict it’ll happen again. Meteor Crater in Flagstaff, Arizona is the most famous in all the world, creating a sonic boom crashing 50,000 miles per hour upon impact. Astronomers continuously search the skies for near-Earth asteroids, which may originate between Jupiter and Mars, in the Asteroid Belt, which actually produces bigger ones than the Meteor Crater in Arizona. This event’s odds of happening: 1/20 in our children’s lifetime. 3 – A Midwest Mega-Earthquake will happen; the question is not if, but when. One of America’s most-deadly Earthquake Zones is located near Tiptonville, Tennessee, where three of America’s largest earthquakes have taken place, measuring between Magnitudes 7 to 8, in the winter of 1911 creating sand blows, or sand volcanos, a rare natural occurance. Earthquakes near this area also created 1.5 billion cubic feet of water, forming the largest lake in TN, Reelfoot Lake. When could it happen again? There’s a 1/10 chance of a Mega Earthquake happening within the next 50 years, creating mass destruction throughout five states. 4 – An East-Coast Mega-Tsunami might happen, originating 3,000 miles away from La Palma, in the Canary Islands. This island is on the tip of a huge undersea volcano, just off Africa’s coast. Water is trapped within the walls of the super-volcano, and should an eruption occur, when the water meets magma, the water would shoot outward, and landmass collapses, with half an island possibly collapsing, creating a major tidal wave travelling at 500 miles an hour across the Atlantic Ocean. It would reach the United States within eight hours and flood all land 40 miles inland. The chances of La Palma blowing within 100 years? 1/1000, destroying the total Easter Seaboard with an estimated death toll of 4 million — more than any natural disaster on record. However, in looking up information on La Palma, it seems scientists have already disproven this theory, so I’m somewhat confused if this scenario is science-fact, or pure science fiction. 5 – And finally, a Super Volcano, long dormant and located deep underneath Yellowstone National Park, covering an area the size of Connecticut, more than 5,000 square miles — if awakened would create an ash cloud 25 miles high — and is expected to erupt any year now. Recently, the land surrounding the caldera has risen and settled down, creating a wave-like effect, during the many underground earthquake swarms. When it eventually blows its top, this super-volcano will erupt with the force of 1,000 Hiroshima atomic bombs every second, and within hours would destroy a 600-mile radius, killing nine out of 10 people within this zone. Its volcanic dust would cause long-term lung damage, and when paired with the jet stream, it could envelop the entire planet. How Will The World End? is a precautionary tale, but feels like it’s mostly created for shock value, which seemingly used some information that has already been disproven. 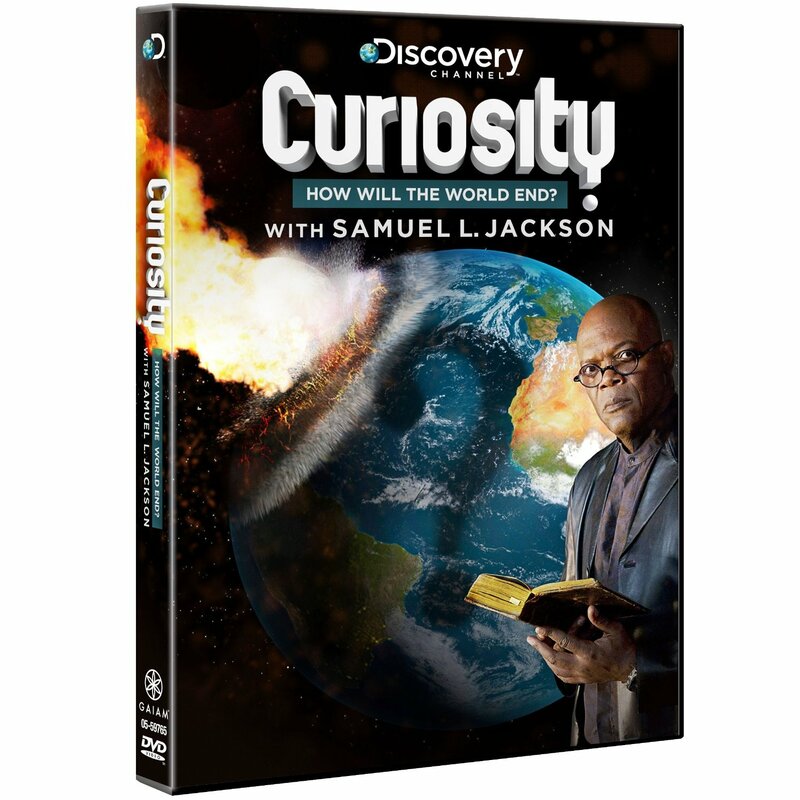 Originally airing as a part of the Curiosity Science Channel, How Will the World End? recently aired on the Discovery Channel to cash in on the end of the Mayan calendar. Strength: Samuel L. Jackson is smooth talking the End of The World! Weakness: Is this science-fact or science-fiction? WTF Moment: There was never a title screen used for this program. Very odd.